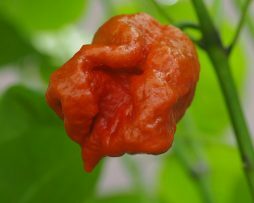 Another extremely hot and good looking 7 pod chilli pepper. If you can get past the heat to taste the flavour this one has an almost caramel honey like twist. The sweetness can be tasted immediately and the heat slowly builds until numbness of the tongue sets in… Very different variety, in that it has the traditional 7 pod aroma but not the usual taste. 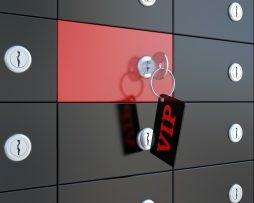 This one comes highly recommended by us. 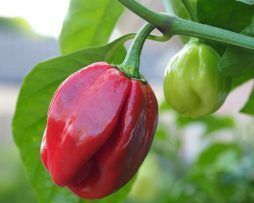 One of the sweetest super hot chilli peppers around without the overwhelming floral taste of other chinenses. The oil just drips from it when cut open making you think twice about eating it. It has a very thin fruit wall which makes it perfect for drying but we think it would make a great sauce. 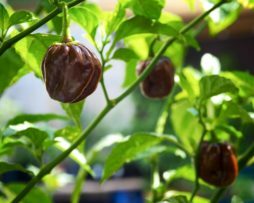 Plant gets fully loaded with fruit that mature from light green to a deep caramel. Yes it’s yet another 7 Pod/Pot that you just have to try. 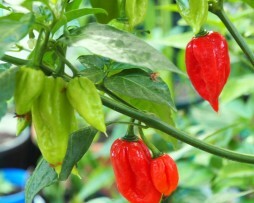 From the Island of Trinidad in the village of Chaguanas this chilli pepper is a bit more fruity than other 7 Pods. The fruit are an irregular elongated shape that turn bright fire red. Go on you know you want to grow another 7 Pod variety. 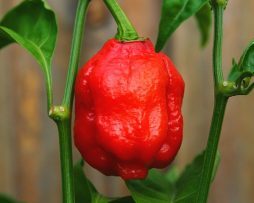 Reaching up to and over 1 Million Scovilles the heat of this 7 Pot Jonah chilli pepper is similar to the Bhut Jolokia but hotter with a more fruity and nutty flavour. 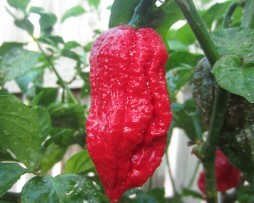 We love the shape of this one which is more plump than other 7 pod chilli varieties. This 7 pod has a very strong Capsicum Chinese aroma – moreso than other 7 pods and one whiff will have you sneezing and reaching for a tissue… Be daring and add this one to you chilli pepper arsenal. 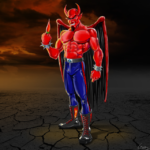 The original 7 Pod Red. 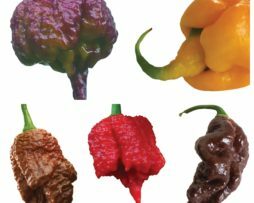 We now see this chilli pepper in various other colours – yellow, brown, white and burgundy but the 7 Pod Red is one that we recommend for a good all round superhot. It tastes good, looks good and is a great fire engine red when ripe. 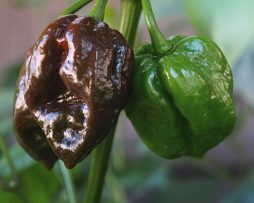 The 7 pot Barrackpore is one of the hottest of the Trinidad 7 pot types and, as we know, the 7 pots sure pack a punch. 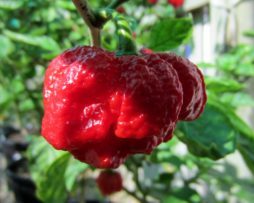 It is named after Barrackpore, a town in India and those guys sure know how to grow super hot chillies With these ones coming in around 1,000,000 – 1,350,000 SHU I can guarantee you will never accidentally eat one! It’s not a very old strain and the shape is a little unstable but we think ours is the best shape ever! 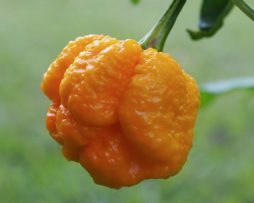 The Trinidad 7 Pot Brain Strain Yellow is a great chilli and the fruit sort of looks like a wrinkly brain! 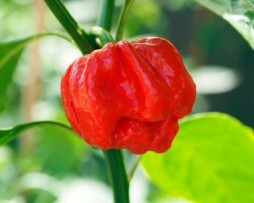 Obviously from Trinidad, it shares a common trait with the other 7 pots….it’s extremely hot! Lots of good tasting fruit on a bush around one meter high.Definitely on our favorites list.